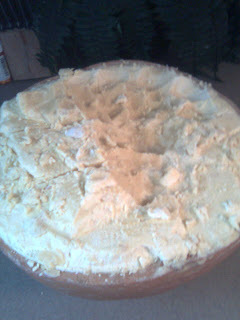 As salaamu alaikum & Hello ladies, Well today was a day for making all kinds of whipped shea butter. Some for hair and some for skin. Some for my children , some for my hubby and some for friends of the family. You may be wondering what in the world is this large item I am showing here. Well...... You're right, it pure shea butter, has never been touched or altered. It's still in it's shell, this thing is huge not to mention super heavy. A companion of my husband and family friend, bought this at the Africian market in Brooklyn, ( NYC). And gave it to me, this will last me for a very, very long time. Feel free to adjust ingredients to your liking, you'd be super surprised what you can come up with ! I apply this to my ends to seal , It's great and very moisturizing! 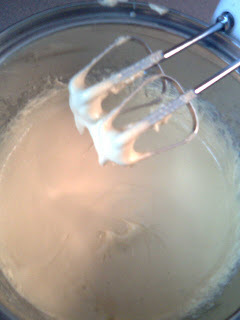 Blend & and allow mixture to sit for 1-2 hrs. Rinse completely and apply an additional rinse conditioner. As salaamu alaikum & Hello ladies, Lets talk Emu oil ,I am sooooo interested in this oil. 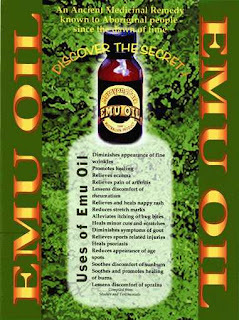 I have heard nothing but great things about Emu oil. It's said to help your hair growth by at least 10-20 % if not more. If used properly. I will be adding this to my small list of scalp oil mixes, this week. It is a little expensive for just a small bottle, however I am not wasteful ( or try not to be) in the area of spending. But , after reading such great things about this oil I felt I would give it a go. I will keep you guys posted on my results. Below I will post a bit about this oil in relation to hair, however this oil has many , many great use's for other area's of the body as well. Emu Oil has been found to work remarkably on improving thin hair and preventing Hair Loss! Weve all heard of one off miracle cure products and drugs to get your hair back, most of them cost a fortune to get, and none of them are guarenteed. Hair loss has been found to be more common in men than women, Many studies have been done to figure out why, one common theory is that it is because women, as a general rule, have more fatty tissue on their scalps then men do, which gives more of a cushion to the minute blood capillaries that carry blood to their hair root, hair bulb and papilla. Another reason might be that women usually brush thier hair more than men, which also stimulates the flow of blood and helps in keeping the scalp loose and healthy. While we have all heard stories about what may cause hair loss: vitamin deficiencies, poor circulation to the scalp, genetics, too much hat wearing, etc. Surprisingly, these theories have been disproved. Hair loss, according to experts, is caused by a combination of aging, hormonal changes and having a family history of baldness. How Emu Oil prevents Hair Loss? According to clinical studies in Australia and the U.S, Emu Oil is an excellent anti-inflammatory agent that can rejuvenate skin cells and produce up to 80% in healthy hair growth. Emu oil users report what can be defined as an "awakening" of their lifeless hair follicles to the growth "anagen" phase. More studies show that the benefit of Emu Oil for hair, is that it increases the synthesis of DNA in the epidermis - stimulating skin regeneration, hair follicle development and growth, and the proliferation of the cells around the hair follicle. One benefit is linolenic acid, and oleic acid which provides a local anti-inflammatory effect. Research into the Benefits of Emu Oil for hair has shown the linoleic acid in Emu oil to be an effective anti-androgen, and a potent 5 alpha reductase inhibitor, which are key factors in the treatment of hair loss. Emu Oil also enlarges hair follicles when used regulary on the scalp, thus to "thicken" the hair. The anti-inflammatory properties of Emu oil also helps alleviate hair loss resulting from inflammation of the scalp and hair follicles, and other scalp problems. Now, I am not suffering from hair thinning or hair loss, But what has been said about Emu oil as an aid in hair growth is really worth a try. As stated in previous posts I am doing a few 1-2 month challenges with my hair , And oils mixes or straight oil for my scalp is one of them. So , my plan is to report back to you guys on my progress & final results. As salaamu alaikum & Hello Ladies, As some of you may have noticed I've been in regimen mode. Sharing, ideas, recipes & thoughts on some products I have tried on my hair. My goal is to try my best to find a rock solid regimen that is agreed up with both my hair and my wallet. With that I will be learning about my hair and what works the best for it. Sooo I've been applying or tweeking some of my products that I use to make them possibly work better & adjusting my attitude ( if you will ) on the importance of a healthy scalp which will in turn produce healthy hair & simply learning about my AuNaturale, researching different carrier oils and how and where they will best work for my hair. Meaning, some oils work best for the scalp , due their lightness and their are some oils who work best for the ends of our hair, etc. Then there's Essential oils. I love Essential oils, I am learning to appreciate them for there best usage in relation to our hair. Knowing that there are different oils for different purposes. Hair growth, scalp stimulation, relieving of itchness, etc. Then there's water. It's water that moisturizes our hair not so much the oils, the oils with the water works wonders . My hair looooves both. So I make sure to keep my hair moisturized, moisturized , moisturized and use water daily. I have also, been applying more deep conditioners. My hair seems to thrive when deep conditioned more than once a month , I now deep condition every week. 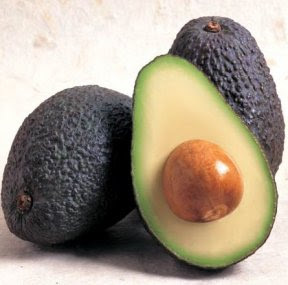 Sometimes, I will use my avocado smoothie ( see in aloe vera post) with ingredients added here & there. I may use a coconut mik conditioner with the avocado or with out & olive oil. Or just the coconut milk & oil or just my ORS Replenishing deep conditioner. 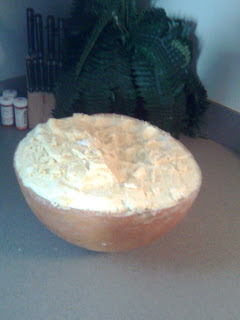 Then there is my protein treatment I do 1-2 a month , shea butter cholesterol & egg. This has been working great, I love it. But, always always reading and learning about the ingredients in all of the products I use. This is very important for me and my hair. I truly believe that ingredients play a major part of healthy hair along with achieving healthy hair growth. Also I am at a cross road between co- washing and Dr Bronner's castile soap, I really loooooove this stuff. The ingredients in this soap are great, ( I will list them later) but its made with organic oils. Great for my hair so far. So what I've decided to do is do a scalp oil, co- wash vs castile soap challenge, along with a few other changes in my current regimen. And document my results for a month to see how my hair reacts to the new changes. I will keep you guys posted, along with plenty of new recipes for our AuNaturales. AND STAY TUNED.... THERE IS PLENTY MORE TO COME!!! 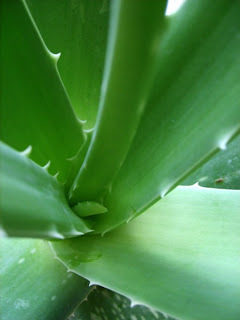 Lately I have been using my Aloe vera whole leaf gel and let me tell you I love, love, love this stuff. It provides mega moisture, I mean was hair was soooo soft. It doesn't leave my hair with a hard , crunchy feeling at all. However, this is not a gel to be used every day, I found that it will leave build up if used daily. I only use it on my wash day or days ( depending on what my hair is telling me, but normal just wash day without the S , LOL). 1. I cut open 1 Avocado & scoop out all of the insides. 4. Blend in a blender, and I mean blend well. 5. Apply to your hair, cover with a plastic bag. 6. Leave on for a least 1 hr. 7. Then I rinse well. BE SURE TO USE A VERY OLD TOWEL, AVOCADO MAY STAIN. I apply Olive Oil, Vitamin E Oil, Coconut Oil, JoJoba Oil, castor oil or any oil of your choice. Sometimes I mix these oils , or just use one. 1. Apply a couple of spoonfuls of these oils to your scalp. Message into scalp really good, spread oils onto hair . Put on a plastic cap and leave on for 30 mintues. 2. Wash or co wash with warm water, turning water to cold making sure to seal in that much needed moisture. I do this every week. I apply my lovely leave in conditioner ( talked about that in my last post). 3. A tablespoon or two of Olive Oil. 4. Shake it well, Apply and Style . So, I would have to say this product is a keeper, it works really well for my hair. Especially, when my hair needs that xtra bit of moisture! Great product for hair. Naked Naturals shampoo & conditioner "Shea butter & Avocado"
Organix " shea butter conditioner"
After hearing all the rave about this product , I decided to give it a go. Now, after co-washing with this product , I found the same results as with " Naked Naturals " . This, to left my hair dry, brittle and yes once again with serious shrinkage. So bad that I had to rewash my hair with my Suave Humectant conditioner and allow that to sit for awhile. This product claims to be filled with yogurt proteins and avocado oil to create frizz free shiny hair, LOL, LOL, LOL .... NOT!!! . That was not the case with my hair, not to mention it has cyclomethicone, Dimethicone and a few other big long words with cones in them that I dont feel like typing , but you get the picture. IT'S HORRIBLE !!!. And I really try to stay away from any products with cones. Soooo, in short I was really displeased with all of the products mentioned here. Beware all of you 3b / 3c ladies of these products they cause serious dryness annnd shrinkage. Would I buy these 3 products again , Absolutely not ! This product gets two thumbs down. If any of you ladies have used any of the above products, let us know what were your results and feelings on these products. I co washed my hair with both Sauve Tropical Coconut & VO5 Moisture Milks Passion fruit smoothie conditioners. Mixed together. mix well, Apply this to soaking wet hair & cover with a shower cap or plastic bag. Leave in for 30 minutes. Rinse well with warm water, making sure that your final rinse is with cold water . To seal in moisture. 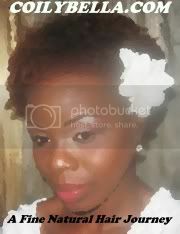 I applied my Afro Veda " Totally Twisted" to my 3b/ 3c wet hair. Using the smoothing method. Being careful not to use to much , but making sure to use enough. Wearing my hair in a wash n go. I allowed my hair to totally dry, making completely sure not to touch it what so ever ( I struggle with that somtimes, lol ). Over all, I would say that this product was pretty good, with the exception of not enough shine for me, but as you ladies know there is always, always. 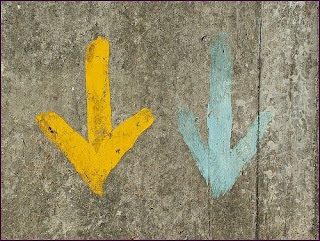 Ways, to adjust or products to our liking add a little here . add a little there. That is one of the many, many joy's of being Natural. I plan to give this product another try soon, maybe adding a little here and there. Using a tuck n go style. I will keep you ladies posted. 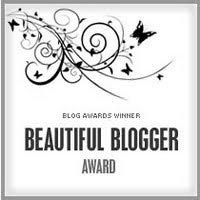 A special thanks to the lovely " Chocolate Orchid " , because without her contest I may have never come across this product. 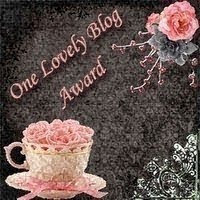 I would like to send a shout out and a special thank you to the lovely " Chocolate Orchid " http://chocolateorchid.blogspot.com/ . Some time ago I won this product from her site, and didn't realize it until a few days ago, lol. Let me say first that this product has a amazing smell, it smells delightful. And has amazing ingredients Which is always a plus. Here I will post a little about this product , ingredients, usage, along with the link. 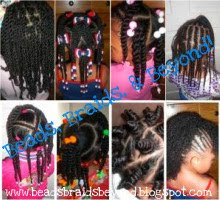 It provides a soft gentle hold for styles like braids, twists, braid outs, etc. Also provides curl definition in naturally curly hair while moisturizing and providing softness. 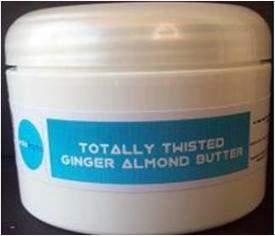 Use this ultra creamy hair butter on wet or dry hair for mega moisture. Aloe vera leaf juice, Rice milk, Water, Almond oil, Sunflower Oil, Ashwagandha powder, Ginger Herb, Extra virgin Olive Oil, Nettle, Herbal Oil Complex, Jjoba Oil, Neem Oil, Glyceryl Stearate and ceteary Alcohol, Sodium Stearoyl Lactylate, Phenoxyethanol, Caprylyl Glycol, love. Essential oil blend of Lemon, Lavender, Bitter Almnd and Ginger. Almond oil is produced from sweet almonds (Prunus amygdalus) and from bitter almonds (aprunus amygdalus amara). Sweet almond oil, used as a carrier oil for blending essential oils, is beneficial for the skin, hair and has overall health advantages. It can be used as an effective massage oil. Bitter almonds provide culinary advantages. Almonds enjoy a rich history. From Greek mythology to Shakespeare and on into modern times, people have enjoyed the benefits of almonds and almond by-products. When modern day Turkey was Anatolia, people enjoyed almond oil for cooking, lighting, medicines and perfumes. 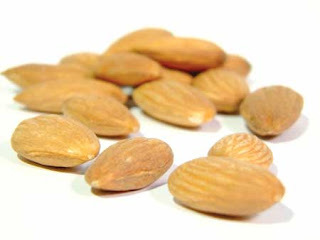 Primarily, almonds have provided especially lubricating emollients for skin. Almonds were highly prized in Asia, Persia and the Mediterranean. Sweet and bitter almonds provide oils for a variety of uses, from cooking to skin care. Sweet almonds are the source of almond oil. Sweet almond oil is used as a carrier oil and as as base for skin lotions. Bitter almonds produce Amaretto and cooking oil. The various oils that are produced from bitter and sweet almonds offer a beneficial and sometimes delicious array of uses. Sweet almond oil is used as an effective massage oil, skin and facial complexion moisturizer and hair care. Good for all skin types, sweet almond oil eases itching, soreness and dryness. Almond oil does not penetrate as deeply as other oils, which makes it a beneficial aromatherapy massage oil with its pleasant, gentle fragrance. Almond oil eases inflammation, rashes and muscle pain. Almond oil comes with a variety of recommended uses. For hair, moisten your fingertips with several drops of almond oil. Gently massage the scalp. A comforting regimen, treating the scalp and hair to sweet almond oil, benefits follicles, prevents hair loss, provides shine and strengthens hair. For skin, almond oil a wonderful treatment. It is compatible with all skin types. You can moisturize with almond oil to ease rashes and chapped lips and skin. It soothes inflamed skin, moisturizes and provides a healthy glow when used regularly. For internal health benefits, almond oil aids digestion, and many in the Indian culture claim that almond oil is an effective pain killer and an effective curative for high cholesterol. Almond oil has numerous health and beauty benefits. When it comes to hair, almond oil is a wonderful, natural treatment for dry and damaged hair. It's a good source of vitamin E and essential minerals like magnesium. When applied to the hair, almond oil provides deep nourishment and moisture for dry locks, adds shine to dull hair, makes hair stronger and even controls hair loss. In fact, ancient Egyptians used almond oil in their hair to fortify strands and stimulate growth. 1. Combine 1 tsp. of almond oil and 1/4 tsp. of vanilla extract (or vanilla essential oil) in a small glass bottle. 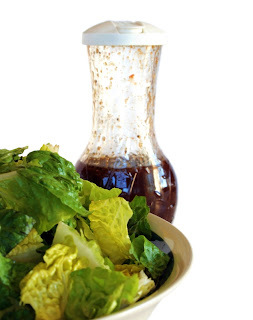 Close the bottle and shake vigorously to blend the almond oil and vanilla extract. The vanilla extract will provide a nice fragrance to your hair. If you have very long or thick hair, double or triple the ingredients, as needed. 2. Wash your hair and towel dry. Or, spritz dry hair with some water to dampen it. Slightly wet or damp hair will be able to absorb the almond oil more effectively than dry hair. 3. Pour some of the almond oil mixture into the palm of your hand. Rub your palms together, then massage deeply into your scalp. Apply a few more drops to coat your hair from roots to tips. Run a comb through your hair to disperse the almond oil as evenly as possible. 4. Cover your hair with a shower cap, and allow the almond oil to become fully absorbed into every strand of hair. Leave the cap on for 15 to 30 minutes, then remove and rinse out the almond oil with warm water and shampoo or co-wash.
Repeat this natural deep-conditioning treatment at least once a week for hair that is soft, shiny, strong and healthy. 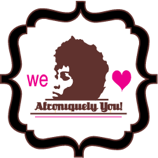 If any of you ladies have any recipes for uses of almond oil for our AuNaturale's please share them with us. Apple Cider Vinegar contains more than thirty nutrients, twelve minerals and six vitamins. It is comprised of essential acids, beneficial enzymes and pectin. Apple Cider Vinegar can be used as a natural, inexpensive, hair treatment. Its acidity is close to that of natural human hair, and therefore, it is safe to use as a healthy alternative to chemical products. 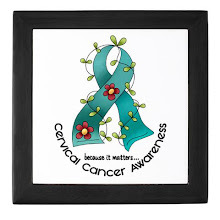 It is a good cleanser, and conditioner, and is very effective at killing germs. Many of the commercial hair care products we use today are strongly alkaline. They dull hair and create a soap-based buildup. Rinsing with Apple Cider Vinegar balances your hair's PH and removes product build up. This results in shinier, healthier hair. To improve the health of your hair, and to boost shine, use an easy to prepare Apple Cider Vinegar rinse. 1. Add at least two tablespoons of Apple Cider Vinegar to approximately a quart of warm water. 2. Mix the ingredients and massage into your hair and scalp. 3. The rinse may either be left to dry or washed out with warm water. 4. For best results, use this rinse at least one or two times a week. The acidity of an Apple Cider Vinegar rinse, along with the benefits of enzymes, works against dandruff and an itchy scalp. The acids, and enzymes, in the Apple Cider Vinegar will kill the bacteria which cause dandruff and scalp conditions. 1. Pour the rinse over your hair and work it into your scalp. You may also use the vinegar full strength for a stronger rinse. 2. Wrap your head in a towel and relax for fifteen minutes. 3. Then shampoo or co- wash as usual. Apple Cider Vinegar rinse infused with herbs can also be used to enhance the color, and condition, of your hair. 1. Add approximately two tablespoons of herbs to one pint of boiling water. 3. Add one pint of Apple Cider Vinegar to the liquid. 4. You can also gain similar benefits by adding five drops of essential oils to one cup of Apple Cider Vinegar. For the rinse add one tablespoon of the essential oil mixture to one cup of warm water. 6. Linden - Good conditioner for frequently shampooed or co- washed hair. Enjoy the benefits of a natural Apple Cider Vinegar hair rinse. You will find yourself with shinier, healthier hair without the use of chemicals and with a lower cost! Mouth Care: Rosemary essential oil is a disinfectant and is used as a mouth wash. It also helps in removing bad breath. Indigestion: Rosemary oil is often used for indigestion, flautulence and stomach cramps. 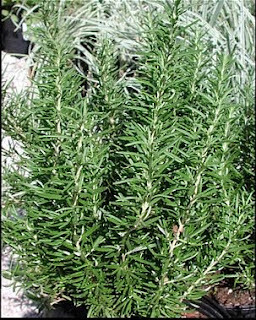 Rosemary leaves are often added to meat dishes as it helps in digesting meat, especially lamb, beef. Other claimed health benefits of rosemary oil include its usage for disorders in menstrual cycle, menstrual cramps, peptic ulcer, urine flow, prostrate, gall bladder, intestine, liver, cataract, heart, sperm mobility, leukemia, kidney stones and associated pain. 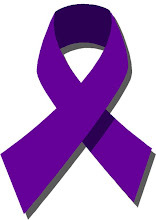 Research is also being carried out to study its potential in treating various types of caners including colon cancer, stomach cancer, breast cancer, and lung cancer. 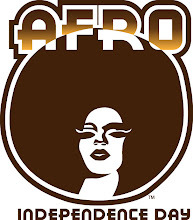 The beautiful world of natural hair is filled with diverse and unique women, all possessing manes of varied textures and hues. But there is one thing we all share--our quest toward Coil Perfection. Alright, before you screw your face into contortions, let me explain what Coil Perfection is. Coil Perfection is inner tranquility manifested in one of our most prevalent features, the hair. Simply put, Coil Perfection is the swagger it takes for a woman to rock her natural hair for any occasion and not think twice concerning the perceptions of others. She owns it and all it entails. Her confidence is fueled by her self-acceptance as well as the knowledge needed to maintain healthy coils with beautifully expressive styles. She has mastered her tresses. Now, that’s Coil Perfection. If you’re not quite there yet, you may be wondering how you can achieve Coil Perfection. Well, in order to achieve such a high level of confidence requires a brave and focused dose of trial and error. As with anything in life, you have to be patient and learn from your experiences. Your hair is no different, so allow trial and error to teach you the ins and outs of your hair. Experiment with different styles and products to see what works for your coils. Be careful as you dive into experimenting with products. For some women, it’s the gateway to a fun hobby known as Product Junkism, and for others it is just a confusing kaleidoscope of product choices. Regardless of your affinity for products, the key is to do your research and be aware of the active ingredients you’re putting into your hair. Experimenting with styles and trying new products (with limits of course) is all a part of the journey. As you experiment, it is imperative you recognize your texture and treat it accordingly. Keep in mind your mane is a unique entity with its own preferences and unique persona. It will not tolerate being a copycat. As fly as the girl’s hair is at the trendy boutique, you cannot expect your hair to look exactly the same, but you can expect your hair to be as fly if not more with a better approach and attitude about it. Do not get caught up in the hype of others, get caught up in the hype of you, because the goal is beautifully styled healthy hair, and a confident and positive mind underneath it. As you journey toward Coil Perfection, the beauty of your hair is in your hands. Be creative and think of your healthy hair as a canvas to display your inward beauty. The end result will be a woman of self-assurance whose hair is one the most stylish around. Ladies, where are you in your quest toward Coil Perfection and what valuable things have you learned so far that you can share with others? Let’s get exotic! Bring home the tropics to your hair routine and add this fantastic essential oil to your regimen. Ylang ylang (pronounced ee-lang ee-lang or ee-lung ee-lung), also known as the cananga tree, flourishes in the islands of the South Pacific (i.e. Guam, the Philippines, and Fiji). The tree is also found on the coasts of Africa, as well as in Hawaii. 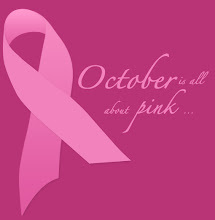 The tree’s highly fragrant flowers blossom in colors that match the sweet smell; beautiful pinks, yellows and mauves. What a wonderful way to bring some sunshine to a snowy, cold season! 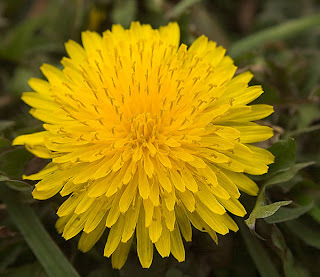 The essential oil from the flower is harvested through a steam distillation method and separated into different grades, the most popular being extra, 1, 2, or 3. Perfumers mainly use the extra grade, as it is the most floral scented oil because it is obtained only after an hour of distillation. Grades 1, 2, and 3 are obtained further into the distillation process, with grade 3 being the most fragrant and extracted after a day of distillation. 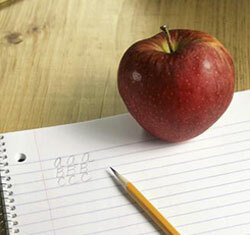 There are also more complex grades including super extra, complete, CO2, and absolute. 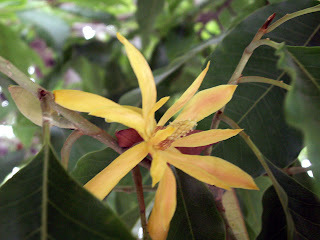 Ylang ylang oil really enhances and complements rosewood, sandalwood, and citrus oils. Like all essential oils, ylang ylang has numerous benefits for mind, body, and soul, as well as hair. Some people experience slowed hair growth in the colder months, so keep your hair growing with the use of ylang ylang. Switch up your massaging oil concoction by adding a few drops of ylang ylang. Like all essential oils, you must dilute ylang ylang with a carrier oil (like olive oil). A few drops of any essential oil is plenty, and all that you need! The winter season also can throw your hair’s natural moisture content out of sync. Ylang ylang is a great balancing agent for both oily and dry hair. Since no one likes “snow” in their hair, in addition to peppermint oil, ylang ylang is another great oil for beauties seeking dandruff relief. A peppermint/ylang ylang mixture is a great defense in the battle against dandruff! Try ylang ylang as a pre-wash oil treatment. For a dandruff treatment, try mixing ylang ylang, tea tree, and patchouli oil to your carrier oil of choice. If you are suffering from dry hair, try ylang ylang, lavender and rosemary oils. If you need a daily reminder of the tropics, when wearing your hair straight, add a few drops of ylang ylang oil to a brush before styling the hair. Not only will your hair smell fantastic, it will benefit from its conditioning properties. When wearing your hair curly, try adding to your favorite spritz or moisturizing cream for the same benefits. So, if you are in need of relief from the cold and want to be swept away to a warmer place (in your mind), hurry and pick up some ylang ylang oil! This exotic oil may not be in your local health store in its pure form, so you may have to order it on the Internet. It is worth the search! Jojoba oil, found in health food stores and in the naturals sections of grocery stores, is a multi-use miracle product everyone should have in her bathroom. Refined jojoba (pronounced "ho-HO-bah"), a colorless and odorless oil, is an ideal beauty product. Why? It's inexpensive, easy to find, and can be used (literally) from head to toe. You don't need to spend hundreds of dollars on products that promise to , smooth frizzy strands, and remove stubborn makeup. Those products often have a long, frightening list of ingredients and chemicals. 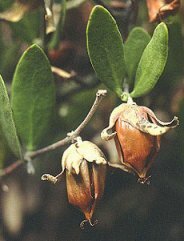 Jojoba oil is simple, natural, and has multiple uses and benefits. It's an eye makeup remover. Soak a cotton pad or ball, and swipe over your eyeshadow, liner, and mascara. Not only will your eye makeup be gently and completely removed, you'll find your lashes lush and conditioned, too. It's a cleansing oil. Another soaked cotton ball will easily dissolve your blush, foundation, and lipstick. To remove oil completely, use a damp tissue or washcloth. It's a facial moisturizer. Because jojoba oil closely resembles human sebum, our skin accepts it very well without threat of breakouts or reactions. If you're oily or combination skinned and afraid of putting any oil on your face, rest easy. Jojoba oil actually helps to balance skin's sebum, so it moisturizes dry skins and eases the oil production in oily skin. Apply jojoba oil by mixing two drops of it in your moisturizer, or use it sparingly on its own. It's a lip conditioner. If you suffer from dry, chapped lips, a small amount of this can be used as an alternative to chapstick or more expensive lip balms. It's a cuticle oil. Say goodbye to dry, ragged cuticles. A small amount of jojoba oil, rubbed into the cuticles on a regular basis, helps keep them soft. It's a hair conditioner and serum. Mix a few drops into your conditioner and rinse out. You can also put a couple of drops on your palm and apply to the ends of damp hair before blowdrying - a great trick for soft strands. Or if your hair is looking dull, or frizzy, a little jojoba oil on the ends will smooth out the cuticle, making it look shiny and healthy. It's been said that the Incas used to massage jojoba oil frequently into their scalps, promoting thick and lustrous hair. It's a body oil. You can certainly use jojoba as a massage oil, but it's best to use in conjuction with an oil that has more slip. Use it all over your body after a bath or shower - it sinks in quickly, but leaves your skin so hydrated. Another trick? Rub a bit of it on your legs before you apply shaving cream - you'll end up with gorgeous gams. So, for you AuNaturale's who use Jojoba oil tell us .... How do you use your jojoba oil ?